Last year I included a Christmas themed painting in the Cornucopia series. A number of you have suggested I collect these together for this Christmas Tide. 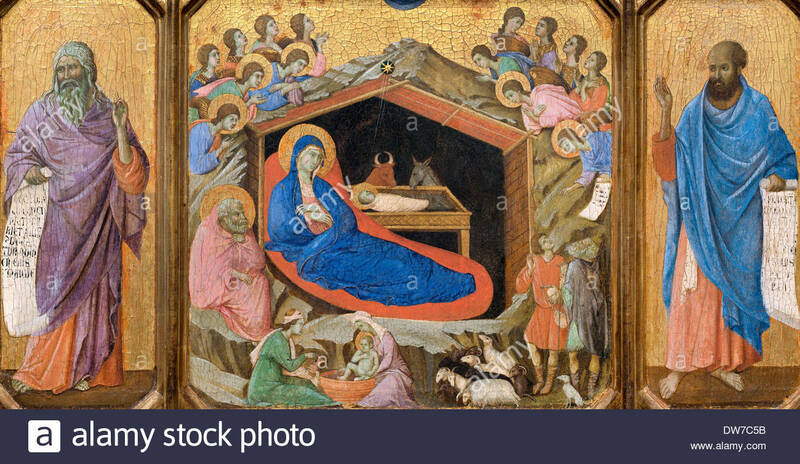 I know of no work of art which captures the sense of awed anticipation surrounding the nativity story with such tenderness as Piero della Francesca’s, ‘Madonna del Parto’. Piero somehow manages to make present through drawing and paint both the vulnerability of Mary in all her humanity and the immanent divine. 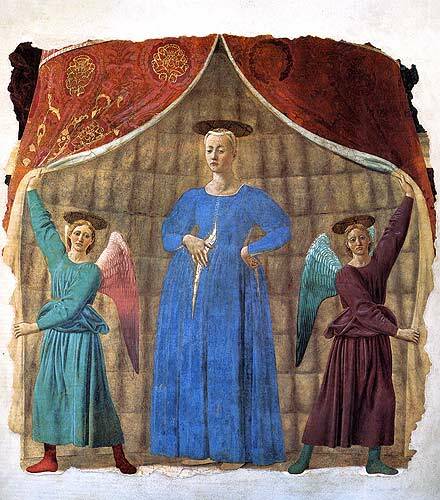 This painting by Fra Angelico has long haunted my imagination since I first saw it in The Convent of San Marco in Florence. 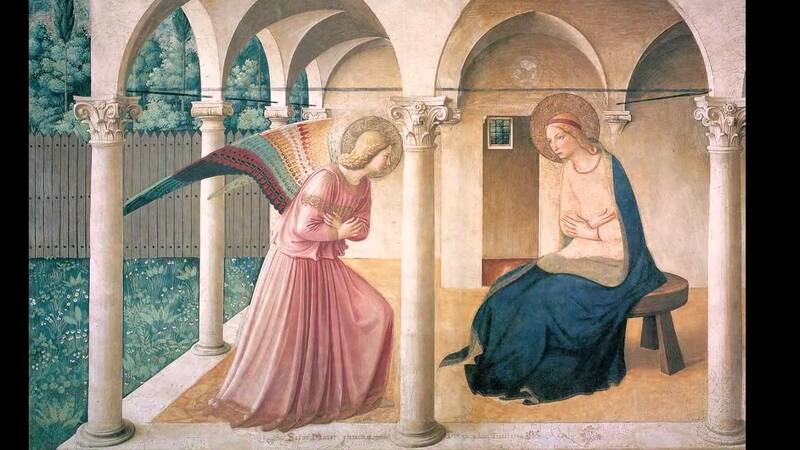 It is a representation of an epochal event, The Annunciation, which holds human time and eternity in perfect balance. There is nothing more intimate than the bond between a mother and child after a birth. Giorgione, a Venetian artist from the period of the High Renaissance, remains a figure of intense mystery. 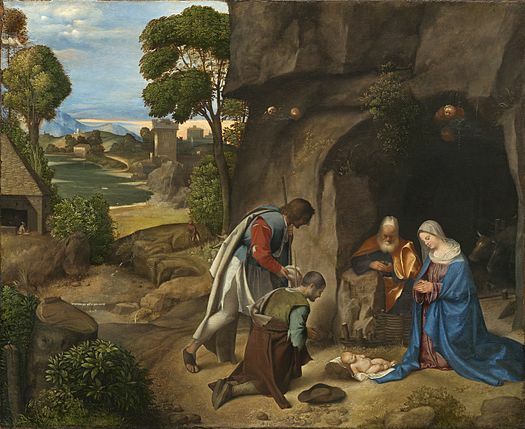 What we can say from his, ‘The Adoration of the Shepherds’ (NGA Washington) is that he could suspend time and evoke awe and silent wonder. This painting offers us a profound sense of reverence. 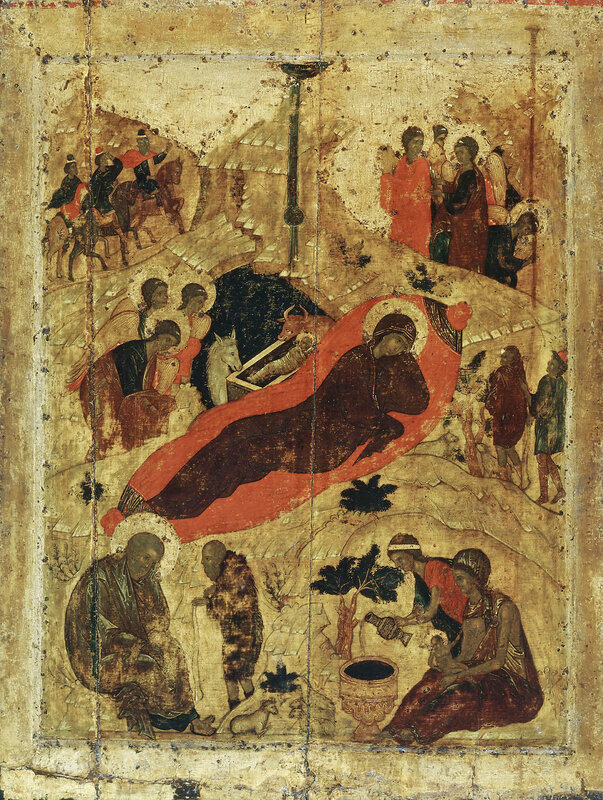 The Nativity tableau shows Mary communing with her child as both motherly protector and prayerful worshiper. Joseph, so often the forgotten man of the narrative, seems overwhelmed by the enormity and mystery of the events he has been caught up in. 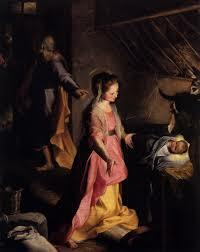 Shepherds were ill-regarded outsiders in biblical times. 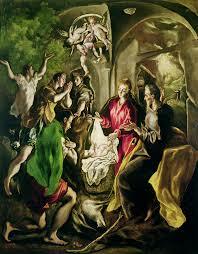 Yet, it was they who were granted the blessing of an audience with the new born King. This must be some new type of King who welcomes first the poor and the ragged before the rich and high born. The sight greeting the Shepherds was beyond words. Their attitude of humble surrender to an experience beyond their understanding is intensely moving. 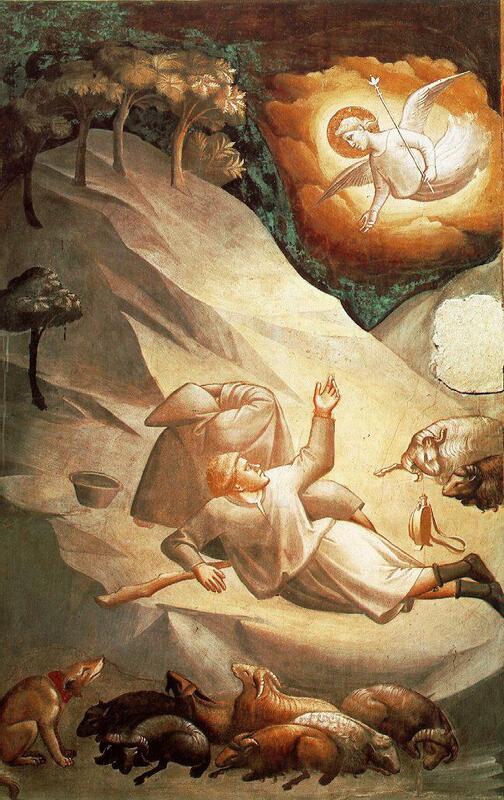 The Florentine Taddeo Gaddi was the star pupil of the great Master, Giotto. 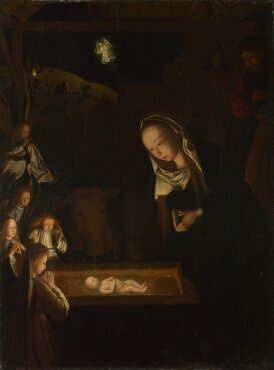 The painting by the Flemish artist Geertgen tot Sint Jans makes that ineffable vision a reality before our eyes and in our hearts through virtuoso deployment of light and shadow. Music by Chopin played by Claudio Arrau (1903 to 1991), Joe Tex and June Christy. 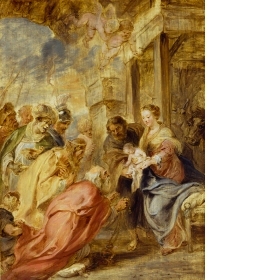 Our painting today is, ‘The Adoration of the Magi’ by Peter Paul Rubens. More accurately, it is the the modello (a sketch shown to a patron for approval of the composition) for the altarpiece painted by Rubens for the convent of the Dames Blanches, Louvain now in King’s College Chapel, Cambridge. Devotees of Chopin and his piano works, especially The Nocturnes, can spend long hours debating which great pianist has searched their depths most successfully. I have never wavered in my conviction that the magical recordings made by Claudio Arrau must wear the crown. His version of The Nocturnes has the quality of meditative prayer. After the above and yesterday’s stop to gaze reverentially heavenward it’s time to turn to more earthly considerations. The Greeks, as you might have expected, had different words to describe the varied forms of love we express and experience. Yesterday we were concerned with Agape – the love of God for man and man for God. Today we will find songs that express Eros – sensuous, sexual love and the appreciation of beauty and Philia – the love expressed in affectionate regard and friendship. Now we turn to a tremendous southern soul sermon from a master and mentor for the genre, Joe Tex. ‘I’ll Make Everyday Christmas (For My Woman)’ glows bright with Joe’s gently enveloping passion. Joe’s forte was telling stories in song using humour and homespun wisdom so that you felt he was gifting you the hard won lessons of a richly lived life. Joe had a country preacher’s sense of the hunger in the audience for parables that would make sense of the roadblocks and confusions assailing them in their lives and provide a route map for the way ahead. They knew that Joe didn’t pretend that he had never been a rounder and a rogue as well as a true romantic and love disciple. We often, rightly, pay more attention to the testimony of someone who admits to failure and frailty than those in their whited sepulchres who are quick to admonish our every fault. Joe sings the song with a steadily growing intensity almost as if the promise he was making was as much to his own better self as to the woman it was made to. When the record finishes its hard not to say, ‘Amen! Brother, Amen!’ and vow to make sure you too take care to make everyday Christmas for your own woman or man. Next, the delightfully cool Miss June Christy with, ‘Christmas Heart’. June was a veteran big band vocalist who followed Anita O’Day as the singer with Stan Kenton. As a solo artist she made a magnificent album, ‘Something Cool’ which should be on the shelves of anyone with an appreciation of the art of jazz singing. I have always found something deeply engaging in the understated, wistful tone June Christy brings to a song. It seems she has stripped out all unnecessary flourishes so that we hear the essence of the song as she steers us gently to understanding through her embrace of the melody and lyric. The lack of hectoring or self regard in, ‘Christmas Heart’ makes its dreamlike plea for Christmas to be a day when all the wounded find rest and balm all the more affecting. You never really need to ask who is your neighbour – just look around you. Today’s poem is, ‘Carol For The Last Christmas Eve’ by a favourite poet of mine, Norman Nicholson from Millom in England’s rural Cumbria. Never fashionable Nicholson’s work will endure. Her maker in her son. Their search had just begun.